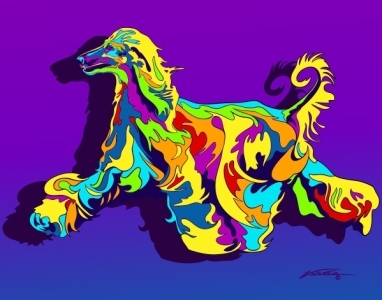 Afghan Hound- Michael Vistia Dog art as Seen in Westminster Kennel Club WKC dog show commercials and Ads. Over 100 punch needle patterns punch needle kits are available. Punch needle kits include pattern on weavers cloth & Valdani perl cotton floss.